This artwork by Tony Cragg is a feature on the C2C cycle route at Consett. 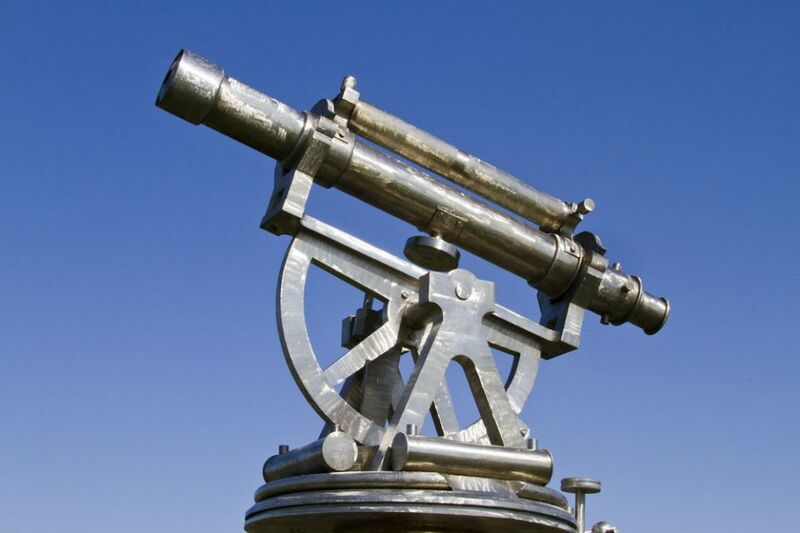 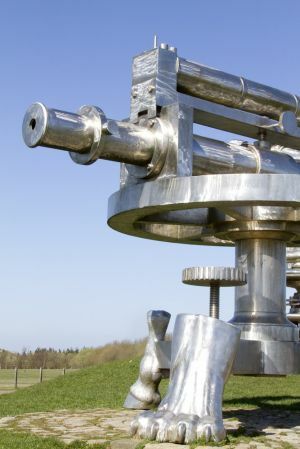 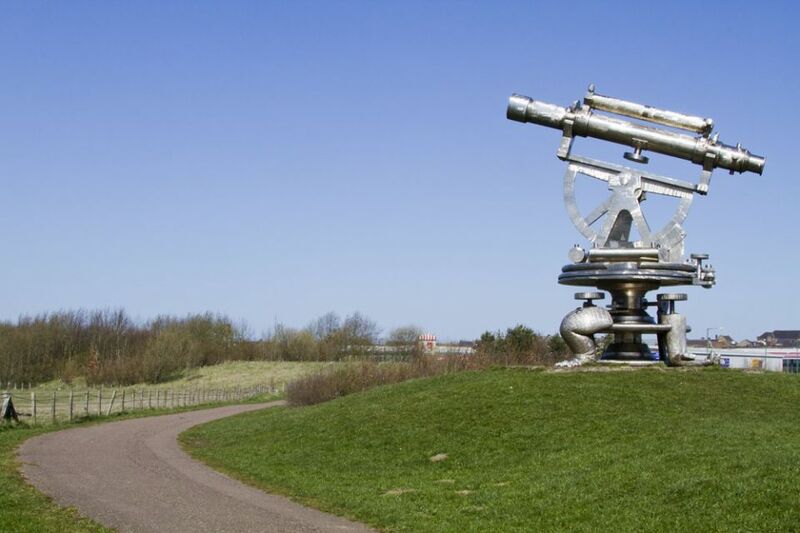 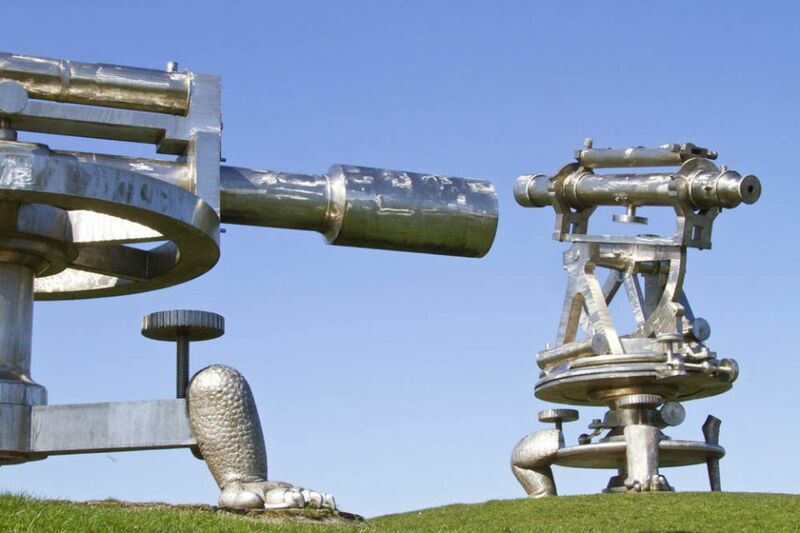 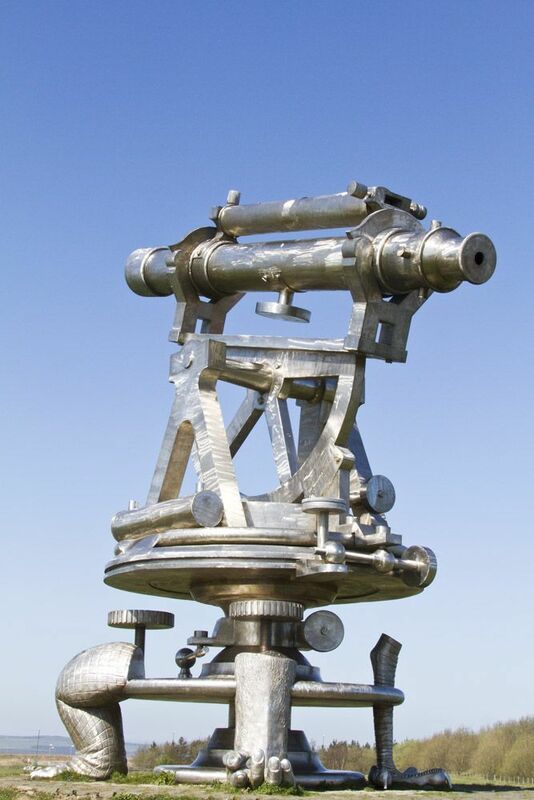 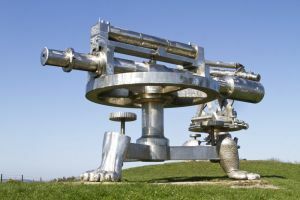 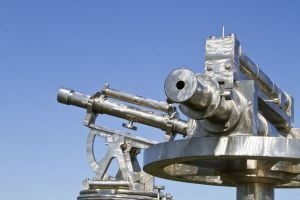 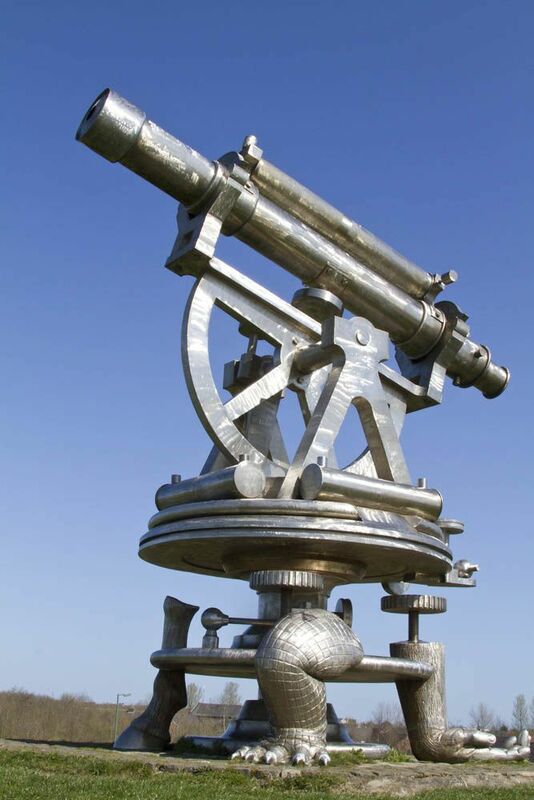 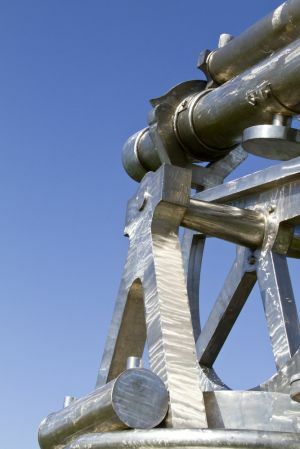 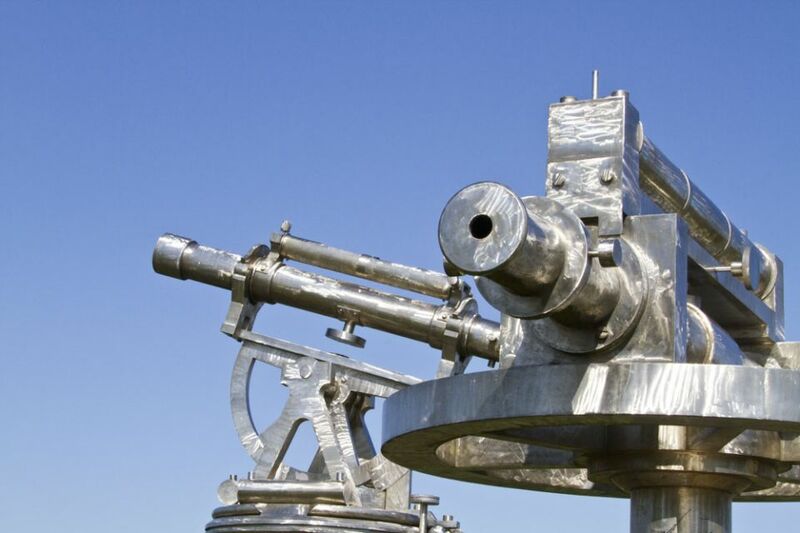 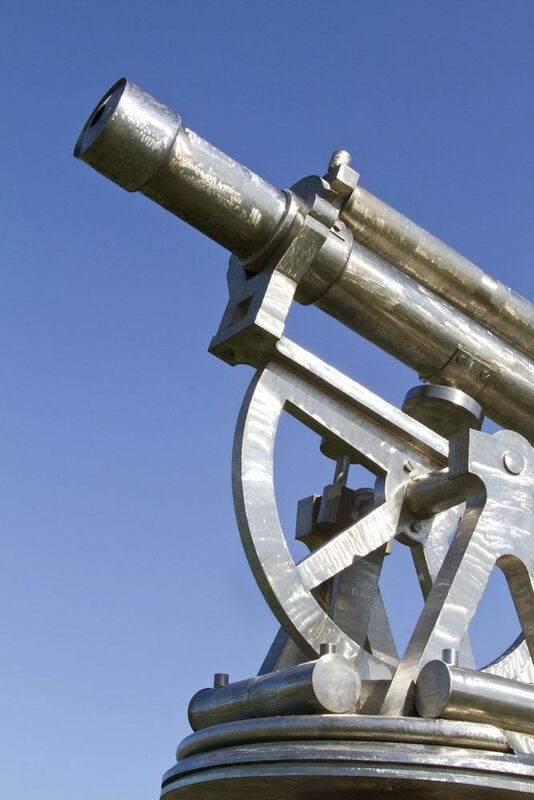 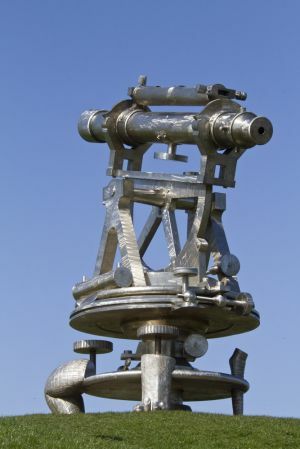 It consists of two measuring instruments; a theodolite and an engineer’s level, faithfully reproduced an incredible twenty times life size, standing approximately six metres tall. 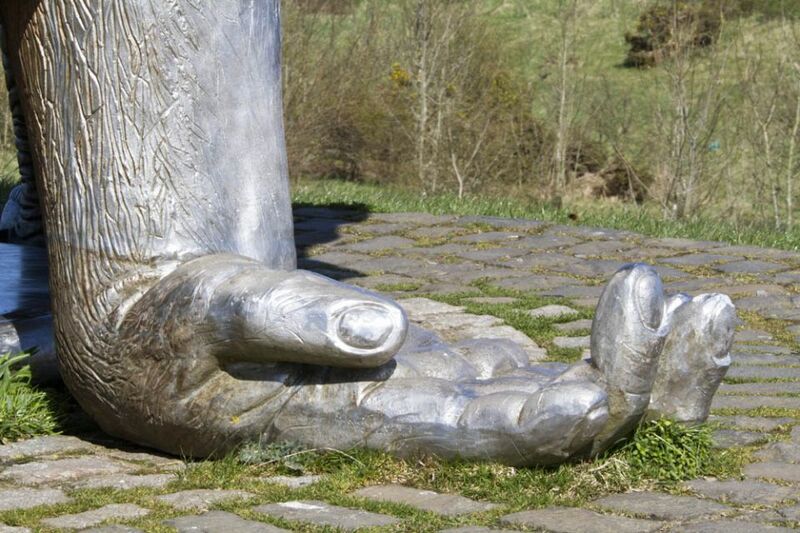 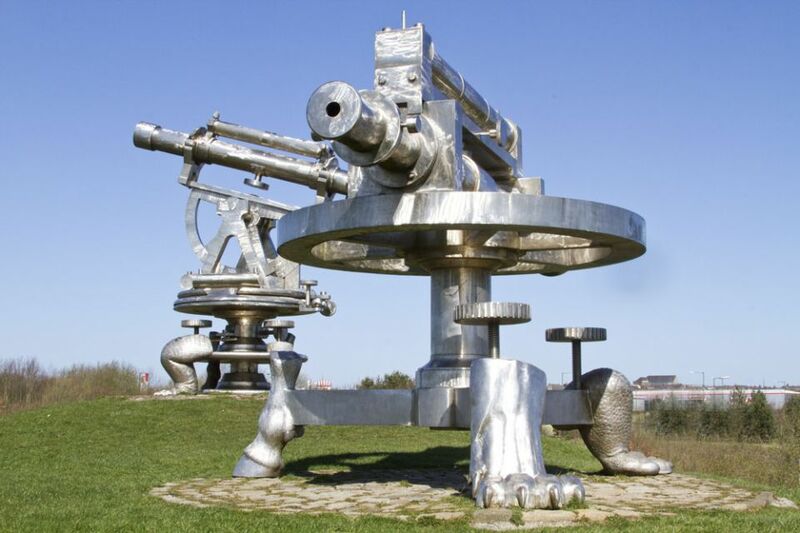 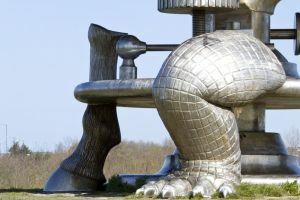 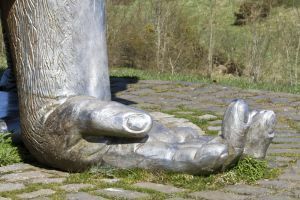 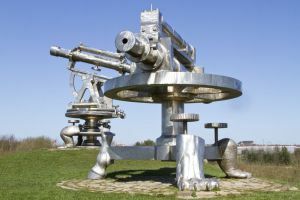 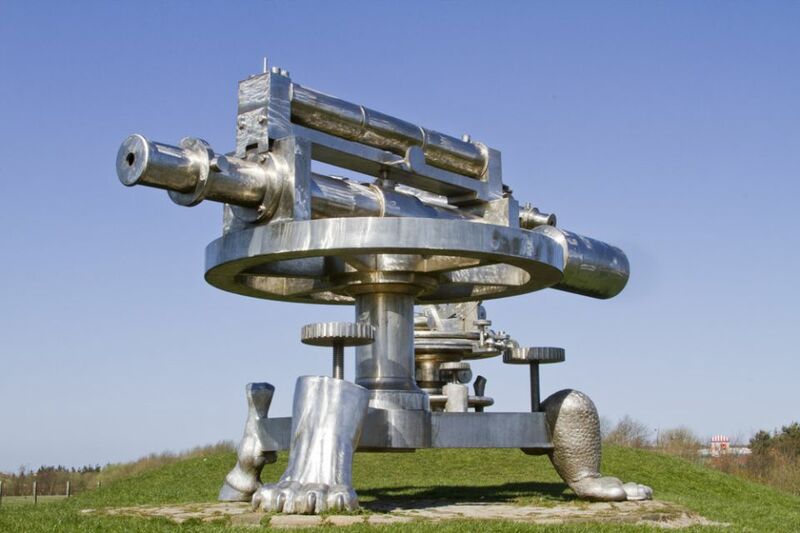 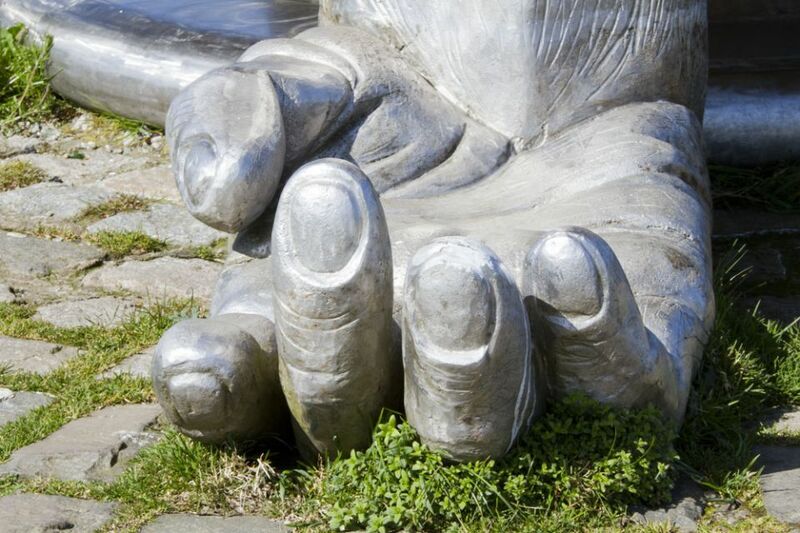 Made from stainless steel and supported on animal feet stands as a monument to the history of the area and a prominent mile marker cycle route. 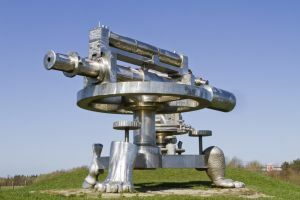 The animal feet that hold these instruments aloft were inspired by symbolic heraldry found on shields, coats of arms, plaques and similar items associated with land and ownership.